What’s this? A movie aimed at the teen/YA audience that doesn’t involve a post-apocalyptic dystopian society or wizards or vampires, but actually takes place in the real world? Who knew such things still existed. 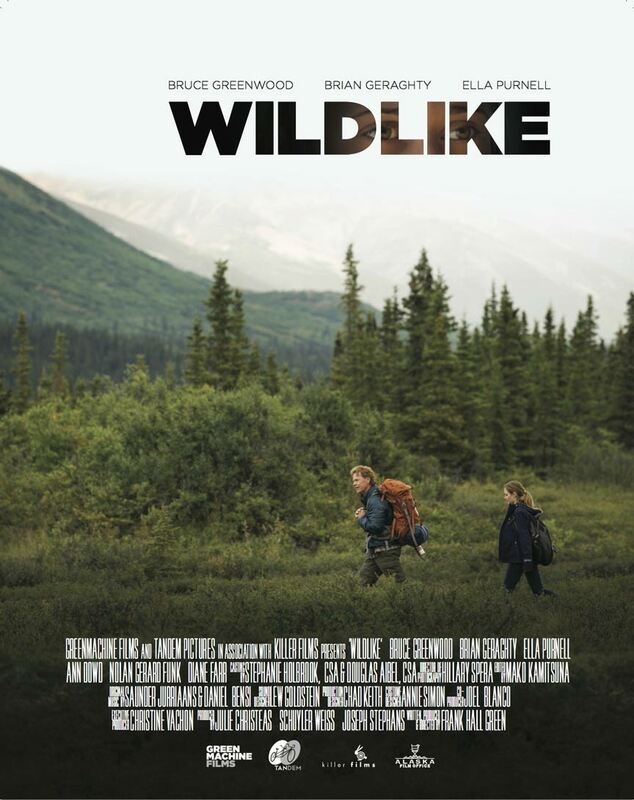 In WILDLIKE, 14 year old MacKenzie (Ella Purnell) is sent to stay with her Uncle (Brian Geraghty) in Alaska after the death of her father. Mom is still in the picture, but she’s going through some kind of treatment back in Seattle. MacKenzie is your typical rebellious teen girl (at least as they tend to be depicted in the movies) – surly, uncommunicative, and slathered in heavy make-up. She starts to warm to her Uncle when he gives her a cell phone of her own, but that changes quickly when the guy turns out to be a major creep with sexual intentions towards his young niece. With no one to turn to for help, MacKenzie makes a snap decision to just run away while on an outing at a park. Searching for shelter, the girl sneaks into a hotel room that turns out to be occupied by Rene Bartlett (Bruce Greenwood), a middle aged widower revisiting the Alaskan wilderness he and his late wife both loved so much. At first neither of them want much to do with each other, but eventually Rene becomes protective of the girl and agrees to help her get to the ferry that can take her to Seattle. 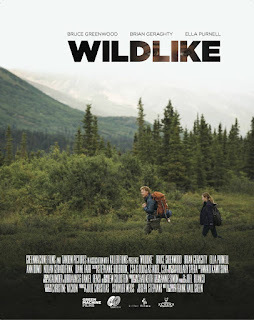 Rather than rely on some sort of convoluted plot, WILDLIKE keeps things simple, focusing instead on its characters as they get to know each other, each helping the other deal with their difficult emotional issues. There is some urgency due to the fact that MacKenzie’s Uncle is still looking for her, but that’s really not the heart of the film. Writer/director Frank Hall Green trots out his fair share of clichés such as the inevitable scene where MacKenzie offers herself to Rene sexually only to be rebuffed, thus proving Rene is a good guy, but overall the film feels sincere, if not completely authentic, and remains engaging throughout. Both Greenwood and Purnell turn in solid performances, which is crucial considering the two of them are the only actors onscreen for much of the film. And it almost goes without saying given that the movie was shot in various national parks in Alaska, but the frequent shots of nature as the characters progress on their journey are beautiful. It’s obvious Green was really trying to make a good movie here, and even if the end result is flawed, that effort and the talent of the cast and crew shine through enough that it’s still worth watching. 2 ½ out of 4 stars.